Redeem a gift certificate on trips booked through Fisher Guiding. To redeem a gift certificate, choose a guide, charter, or lodge in any location, and send your booking request to the guide for the trip and date you would like to fish. See more at https://www.fisherguiding.com/how-to-book-a-fishing-trip. Then, simply share the confirmation number on the gift certificate with us by emailing admin@fisherguiding.com or calling / texting 707-702-3474. When you book a trip, we will process your rebate. If you book a trip with a price less than the total amount of your gift certificate, you will be able to use the remaining balance for future trips. Please feel free to contact us if you have any questions! We make angling opportunities more accessible to find and book, by providing a way to easily compare options in an area, check availability and contact guides, and book and pay for trips online. Our website launched in March 2017 and continues to grow with guides partnered to be booked directly. 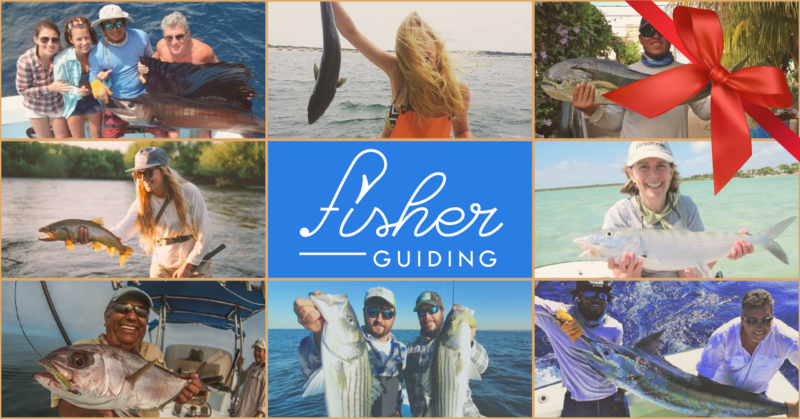 When you book a trip, payment is made by credit card and is securely processed by Stripe, Inc. Visit www.FisherGuiding.com and search for guides in any area you would like to fish.